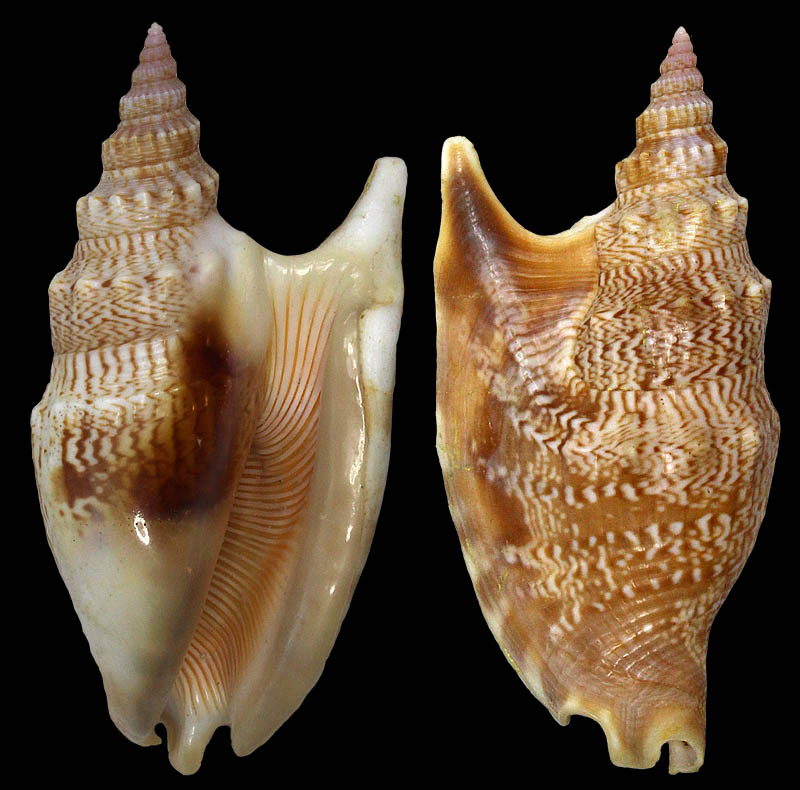 "L. Vomer. Das Pfugschareisen. Gmel. Stromb. 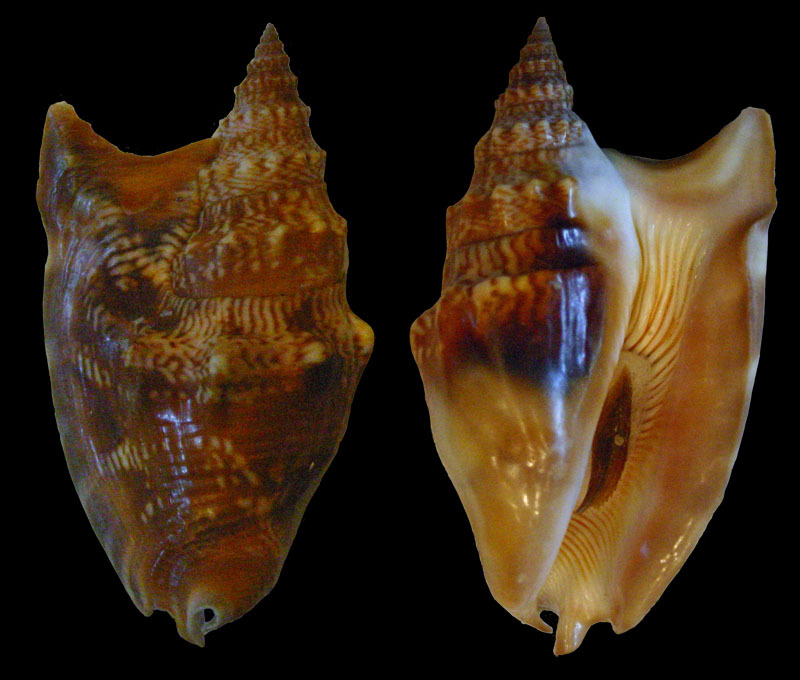 auris Dianae. Martini 1485. 1486. 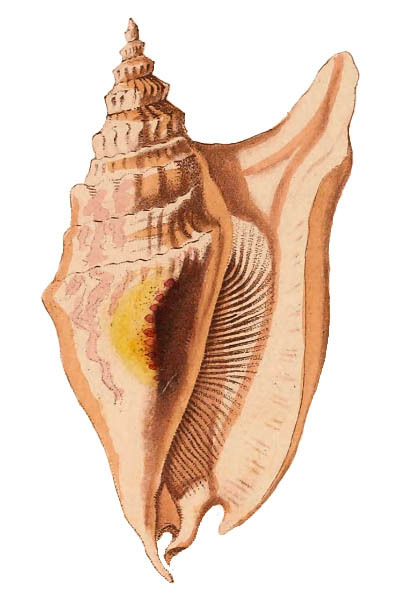 1 St."
Locus typicus: Röding, 1798 gave no locality data. 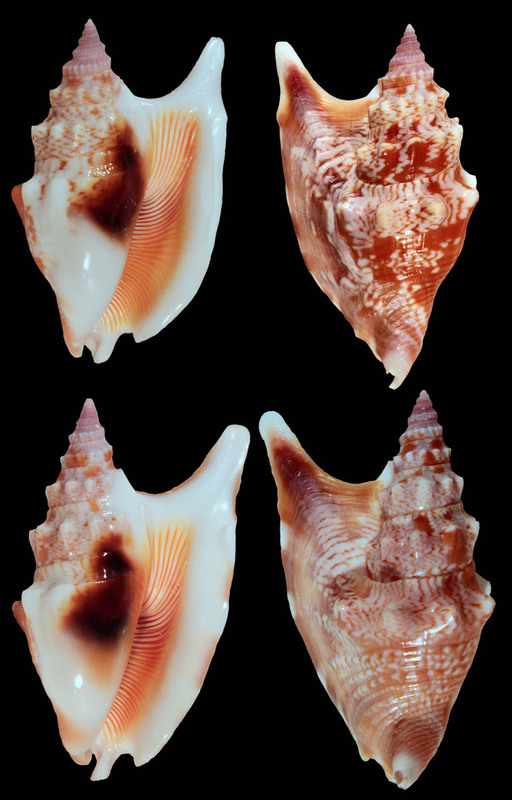 Abbott, 1960 designated Noumea, New Caldonia as type locality. Syn. 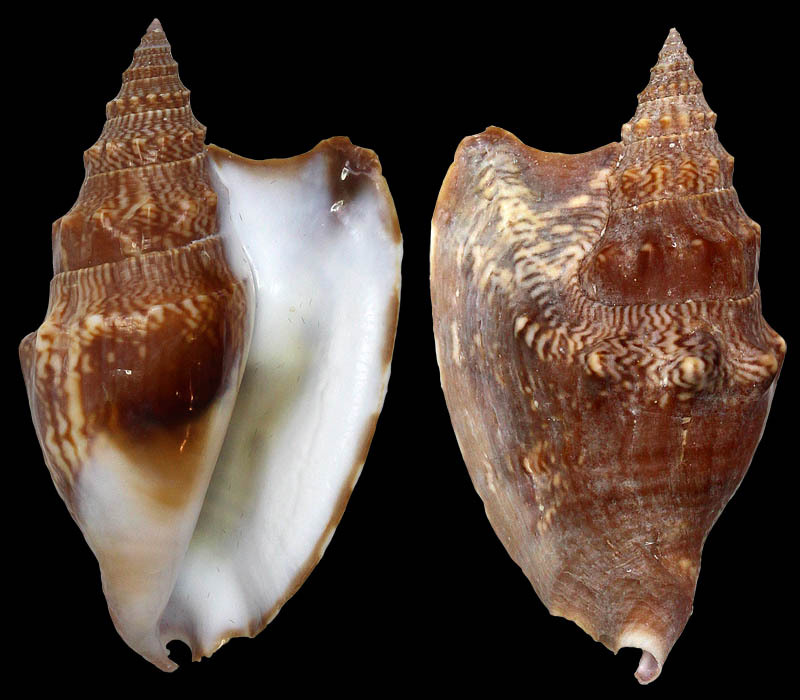 : Strombus auris dianae Variety C. Dillwyn, 1817: 664. 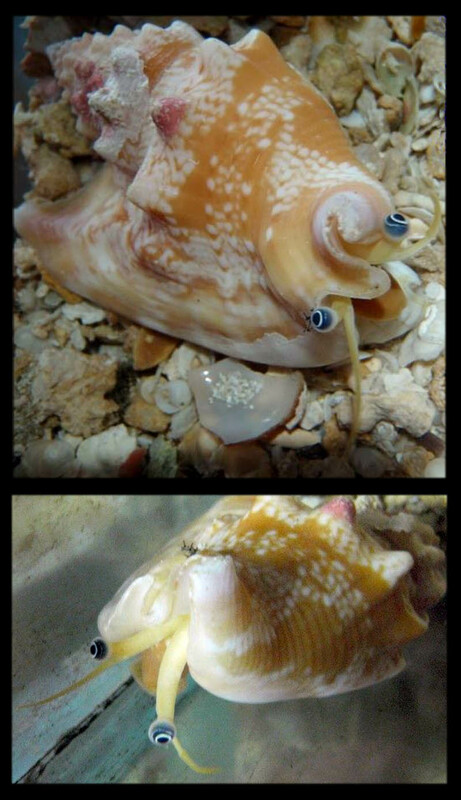 "Strombus Chemnitzii Pfr. (Ch. X. 1485. 86. - Str. 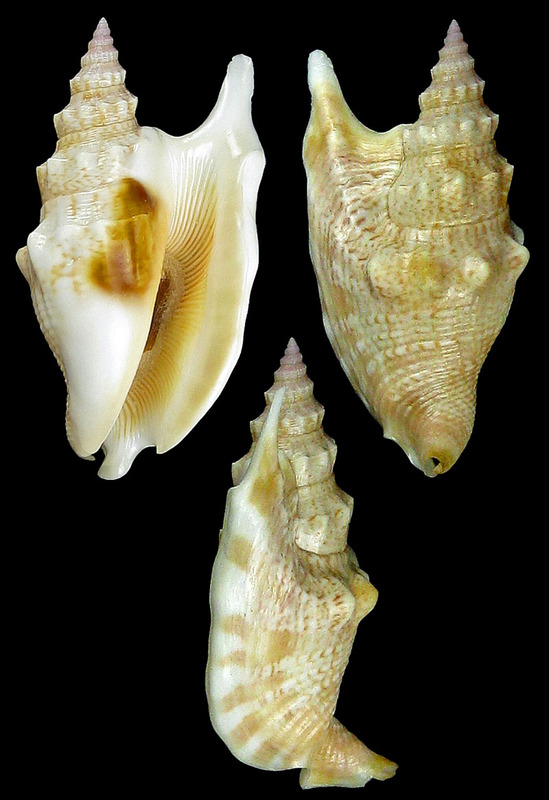 auris Dianae Gm.) 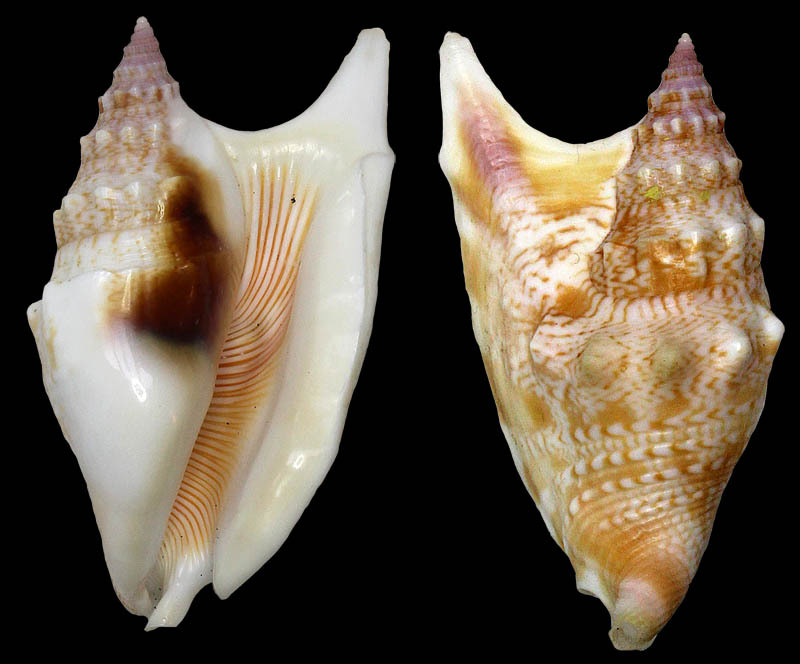 - Testa fusiformi, albo aurantioque variegata; spira turrita; anfract. 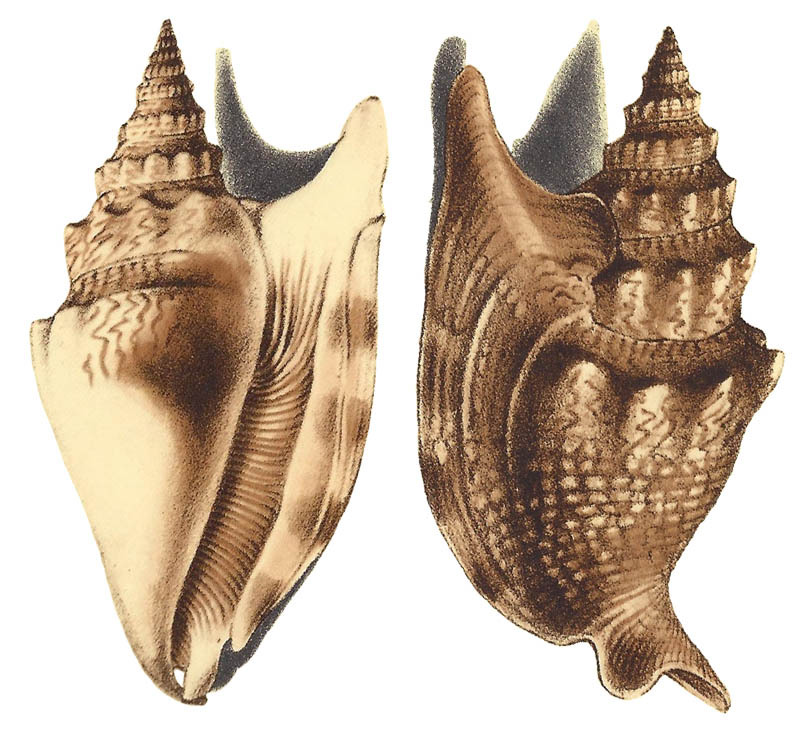 10-12, prope suturam sulcatis, medio serie unica tuberculorum oblongorum instructis, ultimo spira breviore, tuberculis majusculis ornato, inferne regulariter sulcato; cauda recurva; labro incrassato, superne lobo digitiformi terminato, inferne dupliciter sinuato; fauce sulcis profundis aurantiis exarata; ventre superne macula fusca laevigata, inferne callo crasso albo notato." "Long. 2-3 poll. - Differt a Str. aur. Dian. 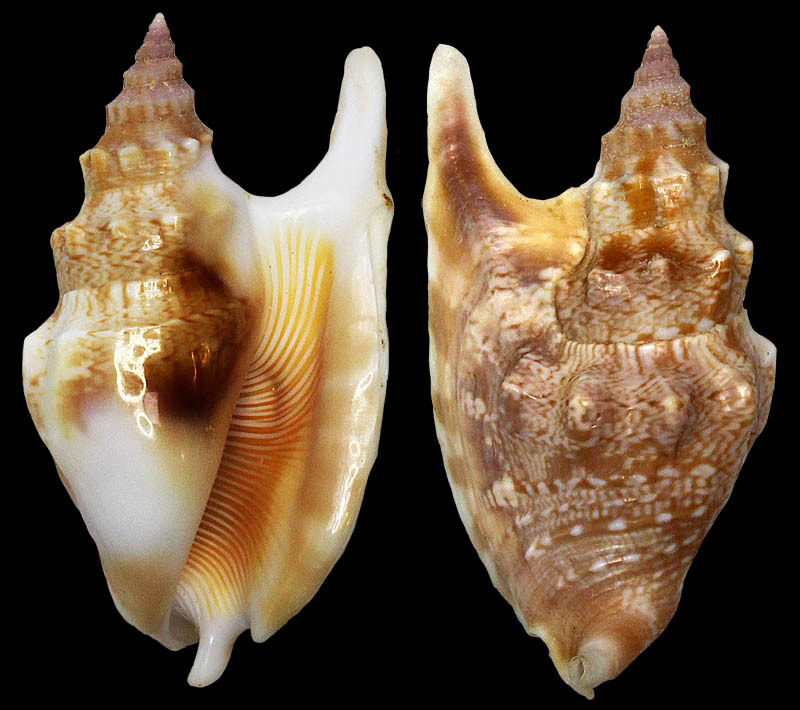 (utraque varietate) spira turrita, nuda, ala per 3 anfractus ascendente, imprimis fauce per totam longitudinem radiatim sulcata." 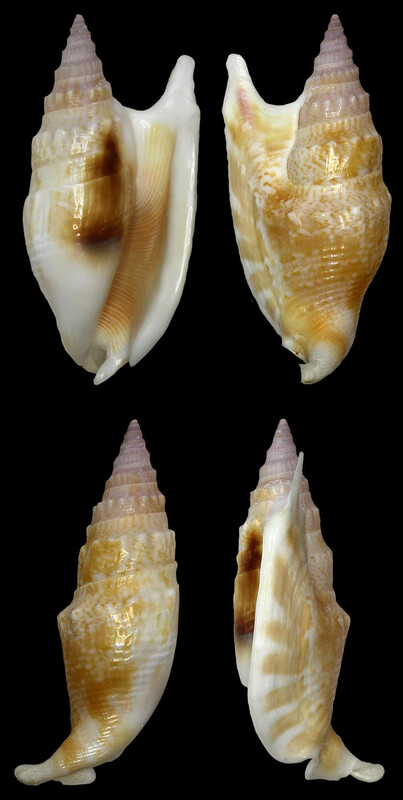 "Euprotomus donnellyi (Pl. xxiii, fig. 19) is large with expanded outer lip with no finger. 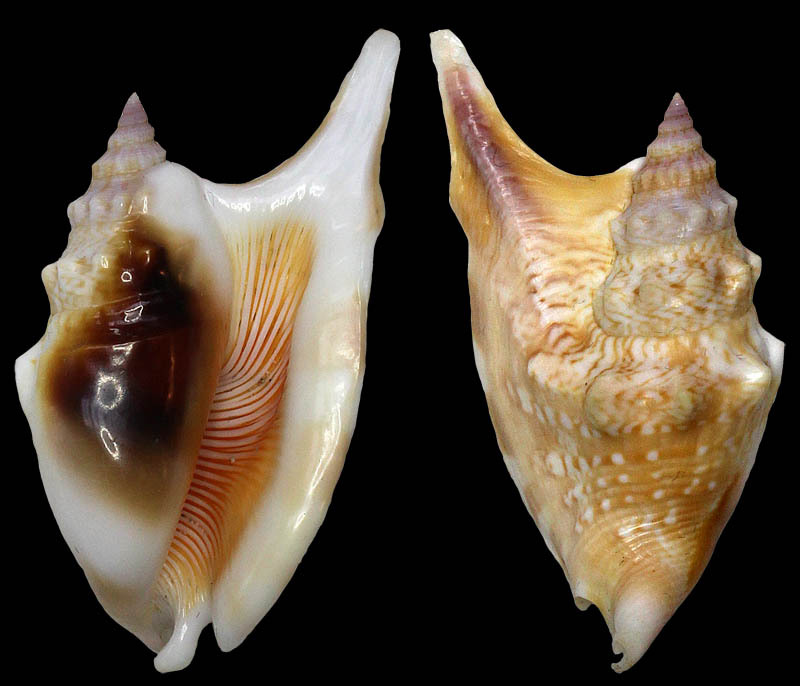 Coloration of dead shells, fawn marbled with white, the aperture white, the inner glaze covering the body whorl, a brown patch towards the posterior end of the aperture, inside of outer lip strongly ridged and brownish. 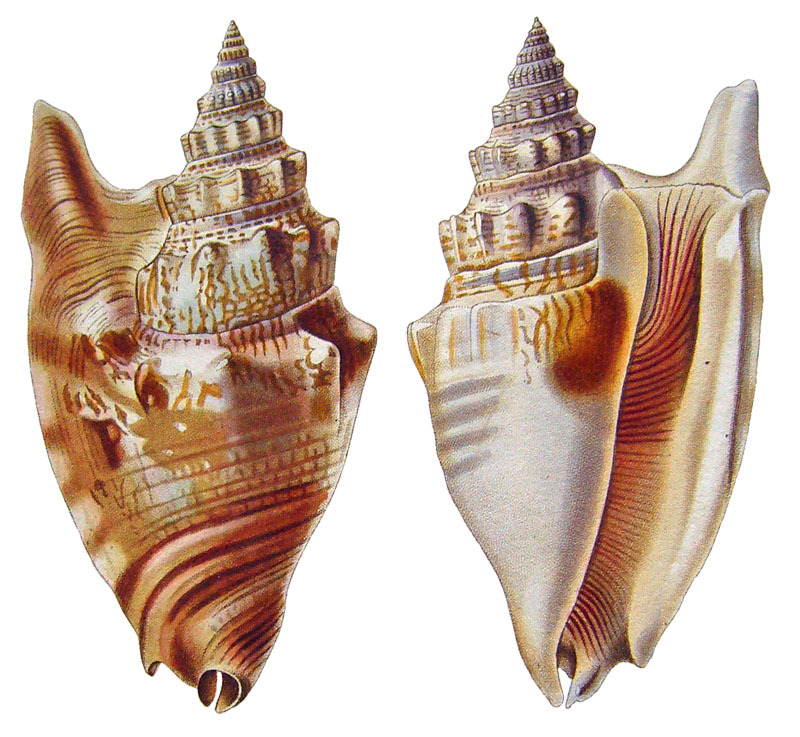 Sculpture: Earlier whorls with a median keel upon which pointed nodules develop, which become more distantly placed as the shell grows, six or seven on the body whorl, although there are twelve on the penultimate and fourteen on the antepenultimate. 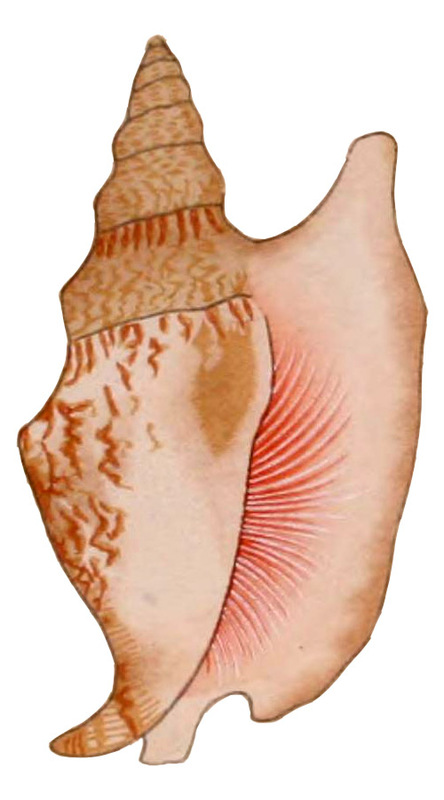 Above the shoulder close threads persist, which weaken and are obsolete on the body whorl; no sutural roll. 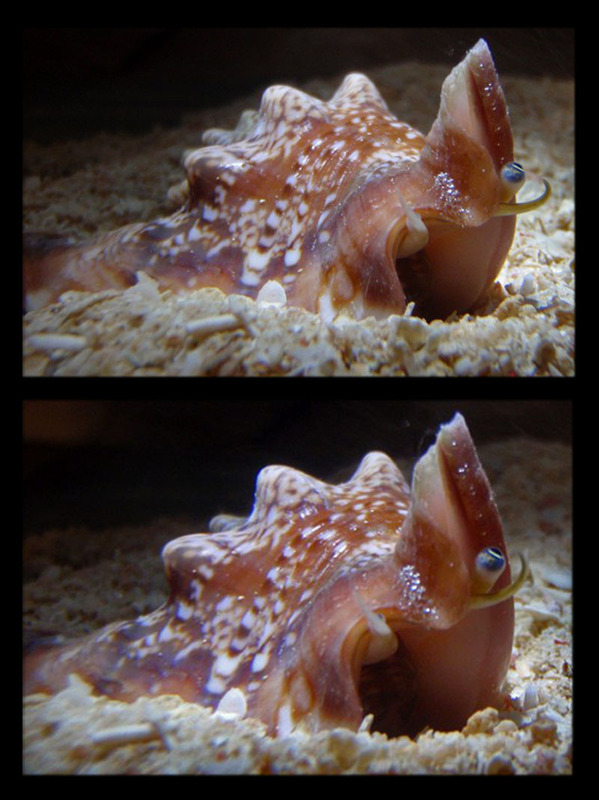 Outer lip expanded and running up two full whorls but producing no finger. Canal strongly recurved backwards. Length 75 mm., breadth 45 mm. Type from Sydney Harbour, New South Wales." 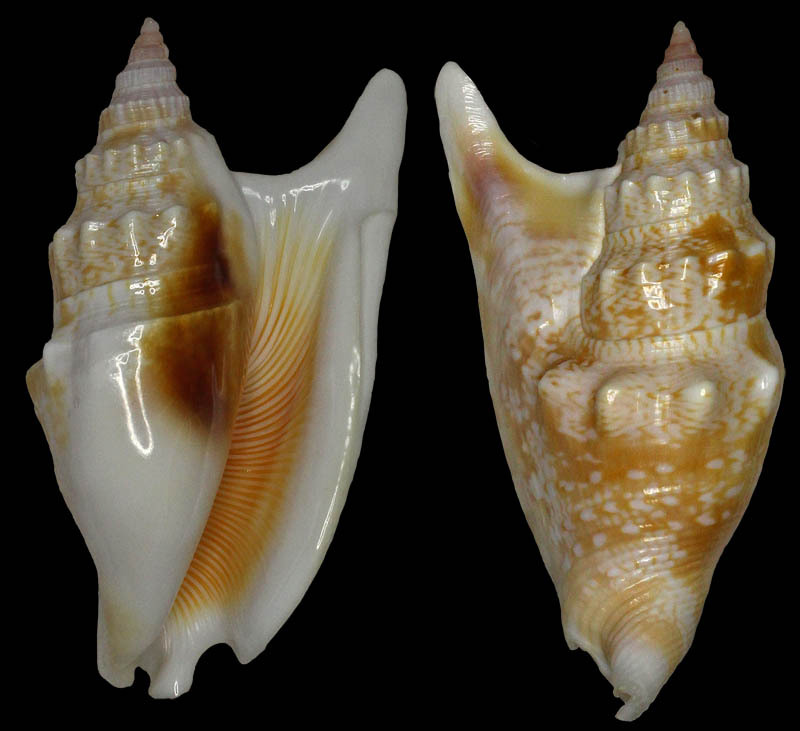 "Range - Ryukyu Islands and New Caledonia"
"Remarks - To date, this very attractive species has been recorded in fair numbers from only the Ryukyu Islands and New Caledonia. Despite its apparent absence over a stretch of 3000 miles, there id no discernable difference in specimens from this two distant places. 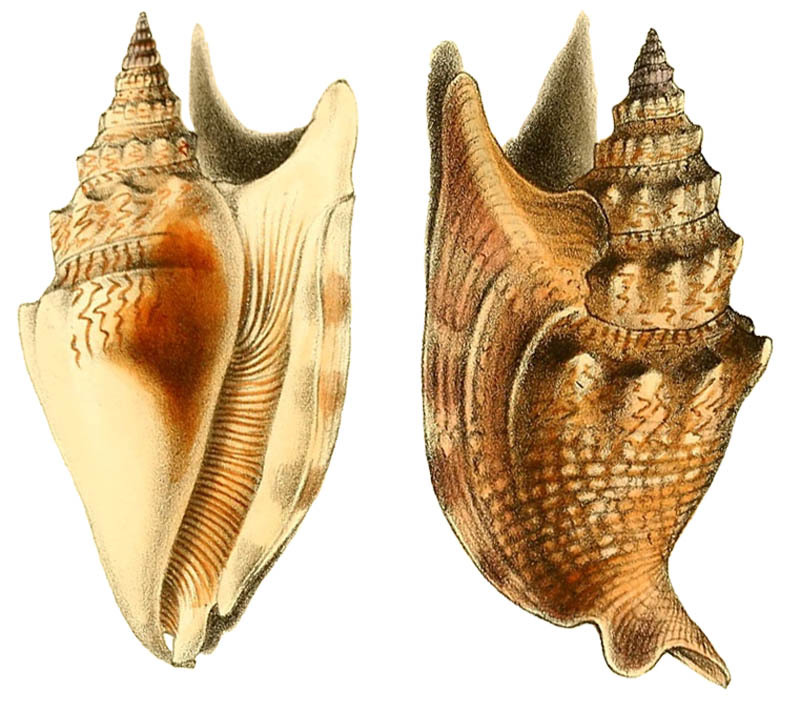 It would not be entirely surprising if it were to turn up in the Philippines and Indonesia, although we believe that this species, which was once widespread in the Pliocene, is now shrinking in range and becoming extinct...."
"Habitat - Found by George and Mary Kline in New Caledonia in 4 to 10 feet of water on coral sand and coral rubble on the barrier reef in Touho Bay. Mrs, Anita A. Scott says (in litt.) 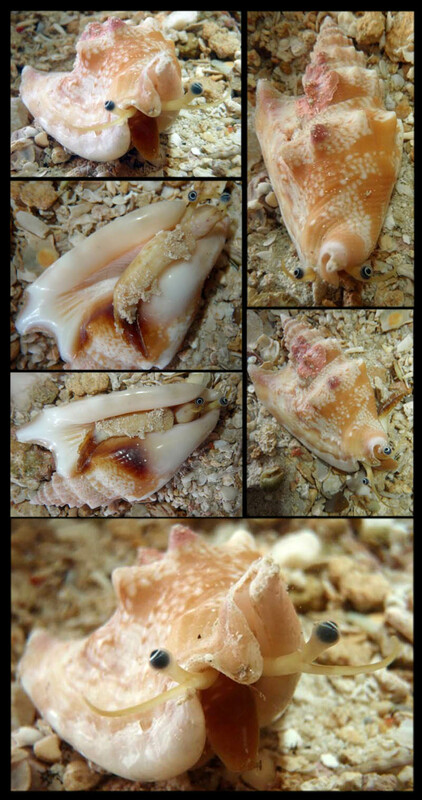 it is uncommon in sand at dead low tide on Okinawa Island, Ryukyus." 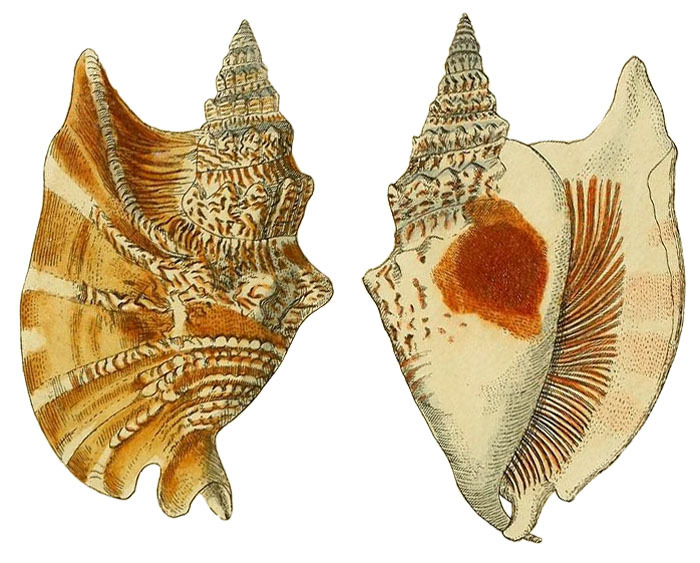 "S. (Euprotomus) vomer vomer (Röding, 1798) Abbott, 1960, pl. 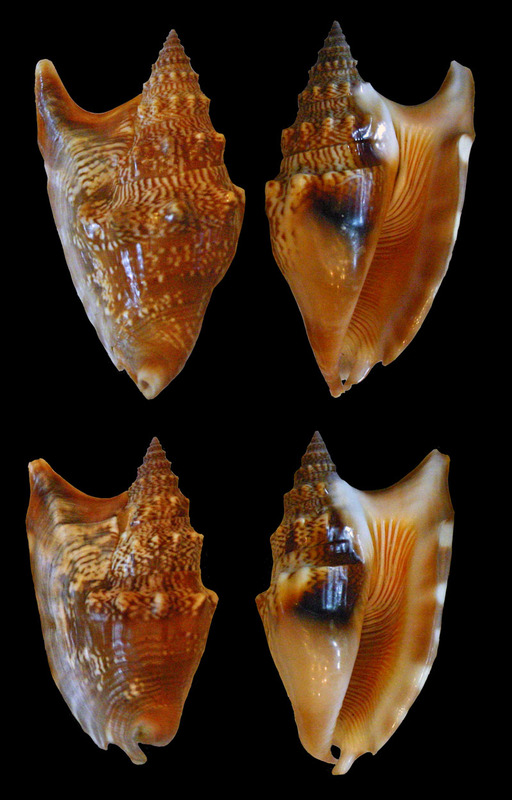 14; fig. 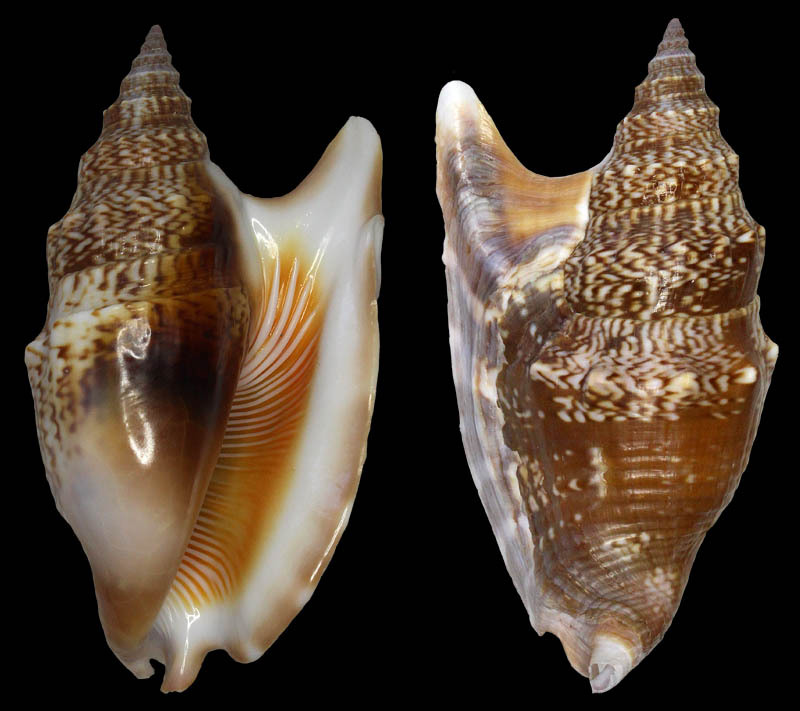 7-8 - This species was known to range as far eastward as the Tonga Islands, and the Niue Island record is a new range extension." Euprotomus kiwi by Bozzetti, L. & D.M. 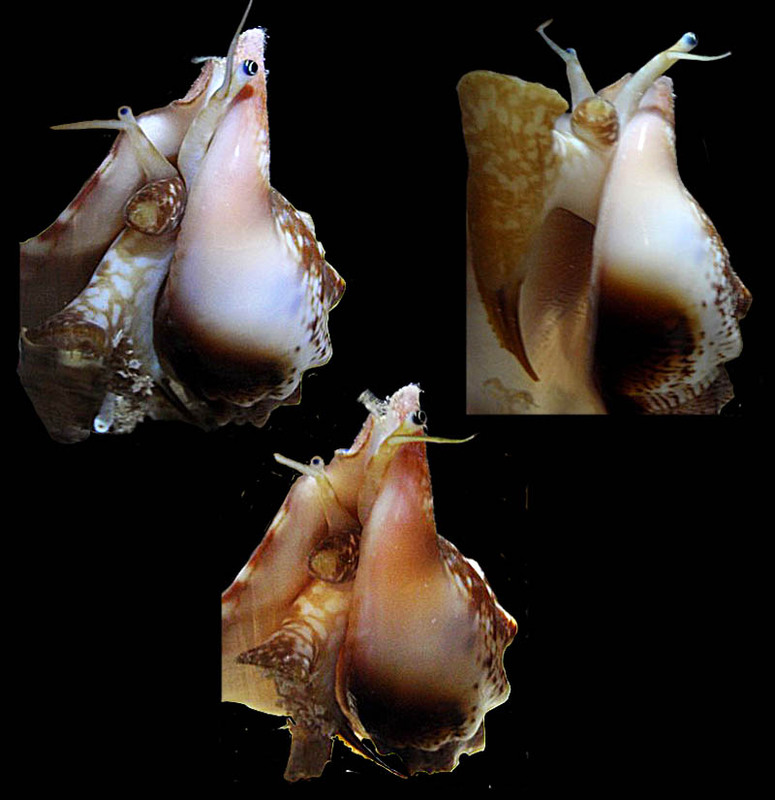 Sargent, 2011, which is treated here as synonym of Euprotomus vomer. Comment Ulrich Wieneke: high probability for wrong label! The dealer has added on the label: "Normal size, the classic vomer from New Caledonia." Cernohorsky, W.O. 1966. 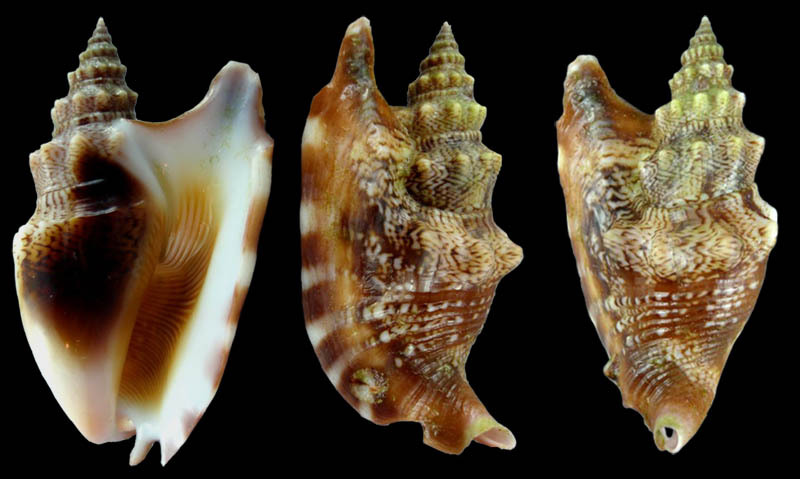 A new geographical record of 3 gastropods from Fiji and Tonga. 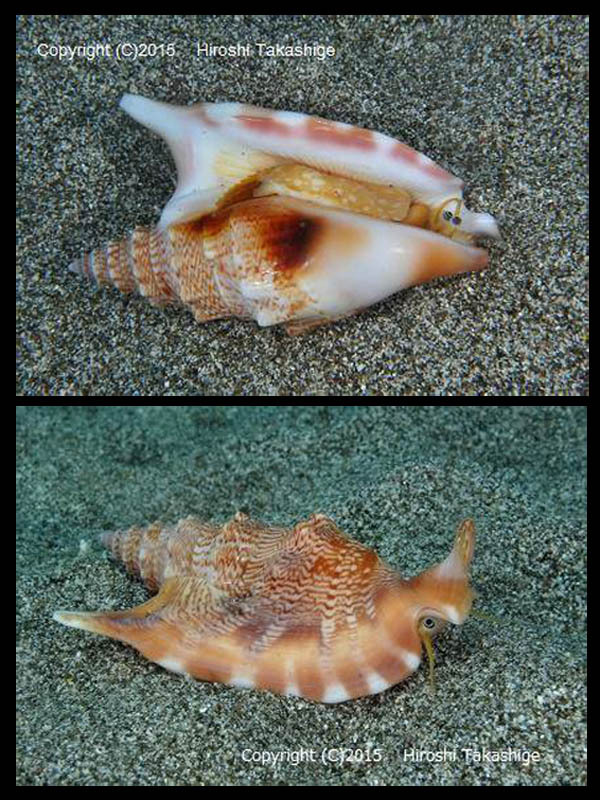 Hawaiian Shell News 14(8): 6-7. Cernohorsky, W.O. 1970. 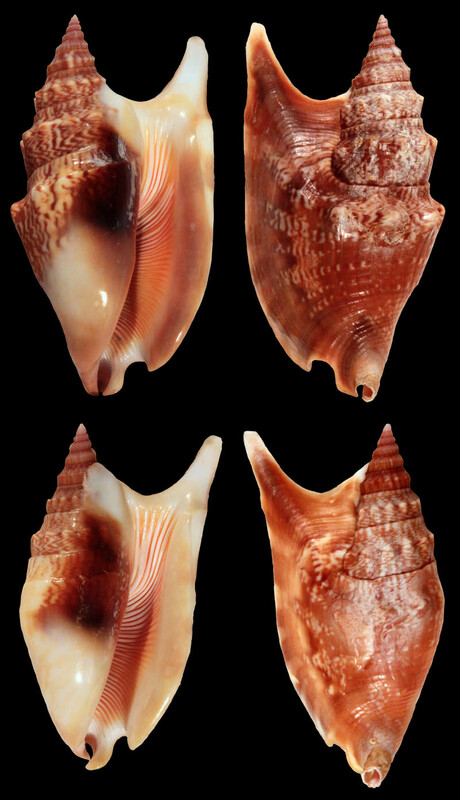 The littoral marine molluscs of Niue Island, Rec. Auckland Inst. Mus. 7: 175-185. Kronenberg, G.C., 2002. 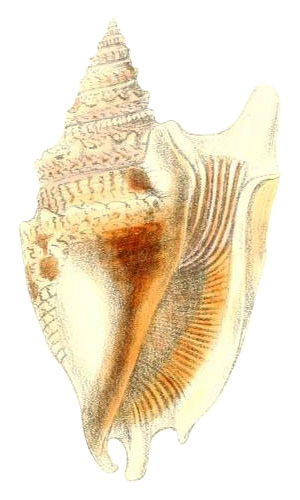 Addendum to a revision of Euprotomus Gill, 1870. 2a. 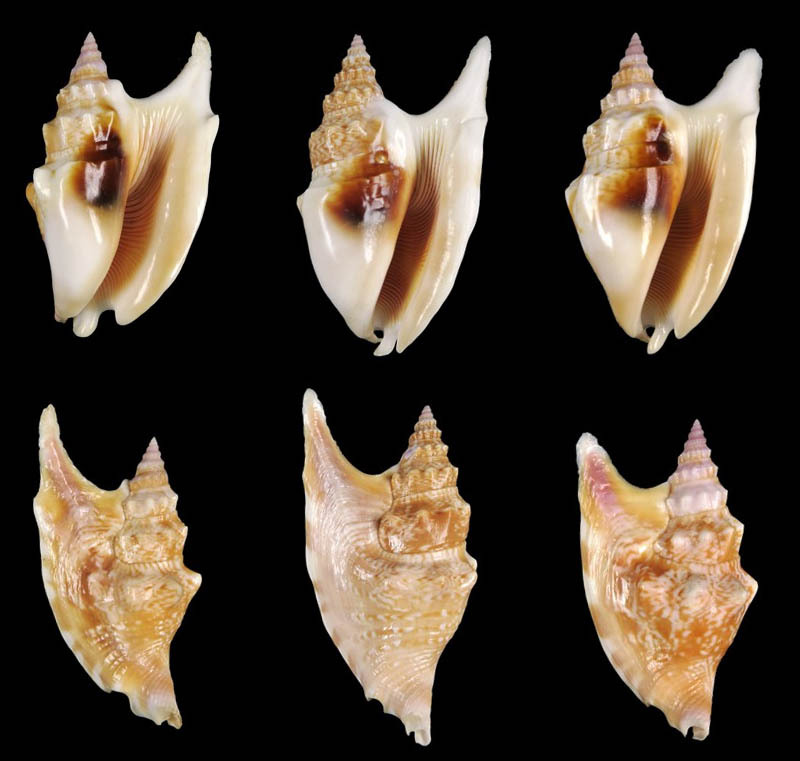 On the identity of Strombus hirasei Kuroda, 1942 (Gastropoda Prosobranchia: Strombidae). – The Festivus 34(9): 110. Loch, I. 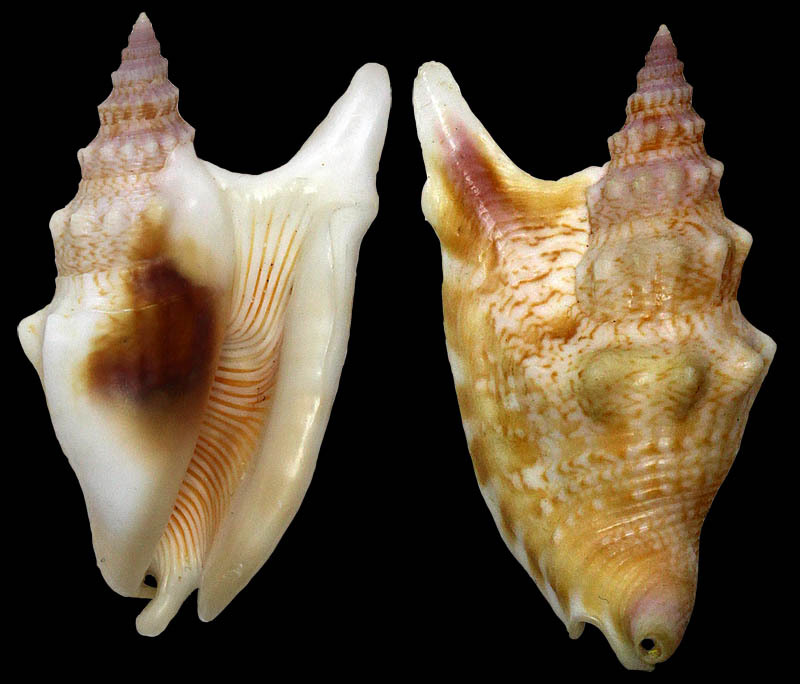 1990: Strombidae in Australia. 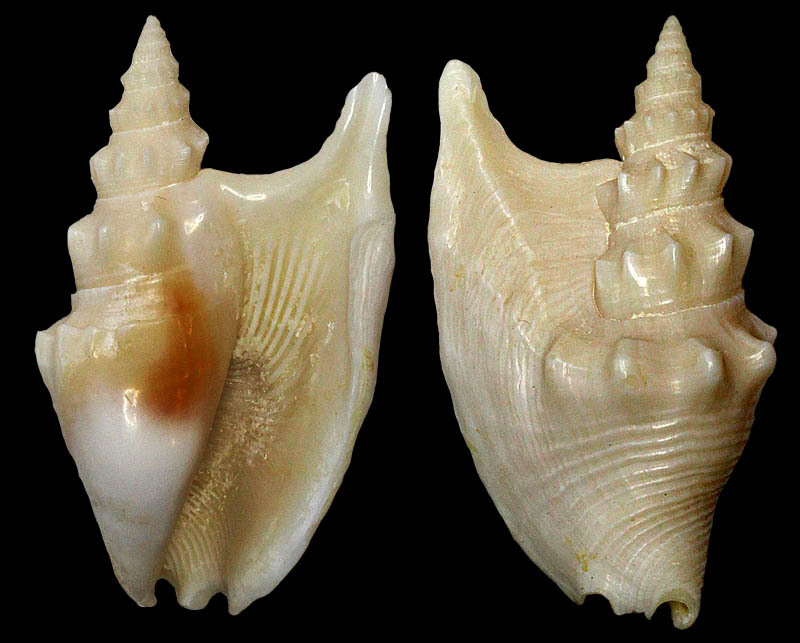 Australian shell news 71: 5-6. Slack-Smith, S. M., & Bryce, C. W. (2004). 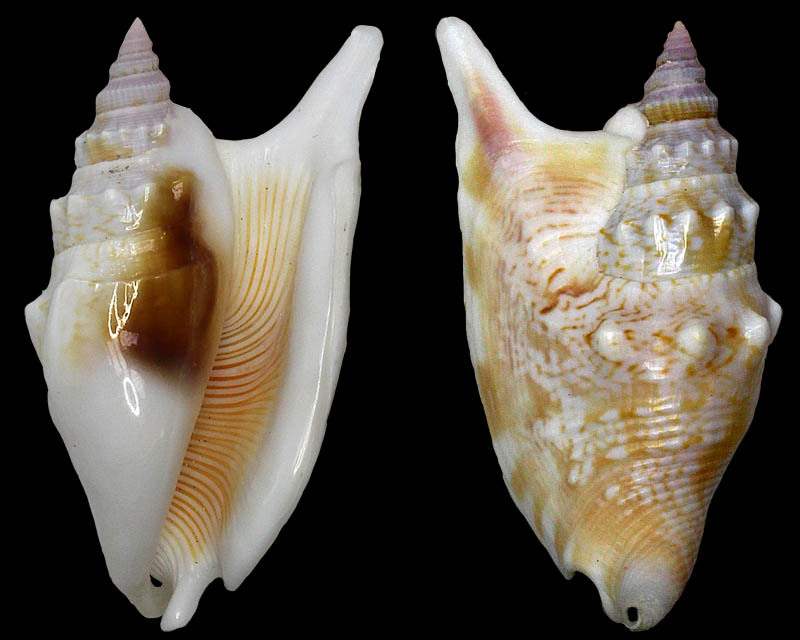 A survey of the benthic molluscs of the Dampier Archipelago, Western Australia. Records of the Western Australian Museum Supplement, 66, p. 221-245. 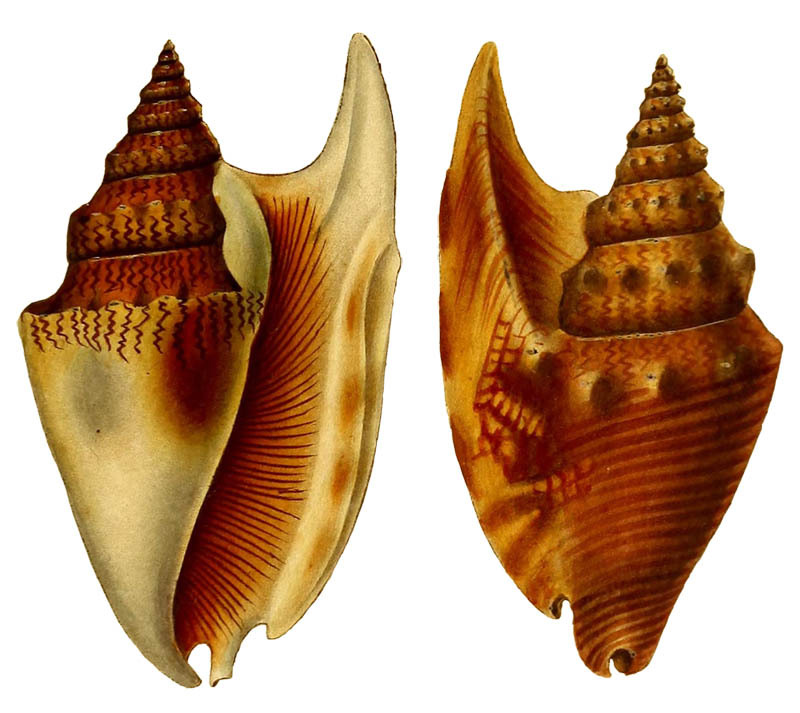 SWAINSON, W., 1821–1822, Exotic conchology. W. Wood & J. & A. Arch, London, 4 parts, iv +  pp., [32 pls. ]: part 1, August 1821, Title page, advertisement [preface] and 4 unnumbered pages, 8 pls. ; part 2, October 1821, no text, 8 pls. ; part 3, December 1821, 4 pp. text, 8 pls. ; part 4, March 1822, 4 unnumbered pages, 8 pls. [concerning: Sherborn & Reynell, 1915; McMillan, 1963]. Tröndlé, J. & Boutet, M. 2009. 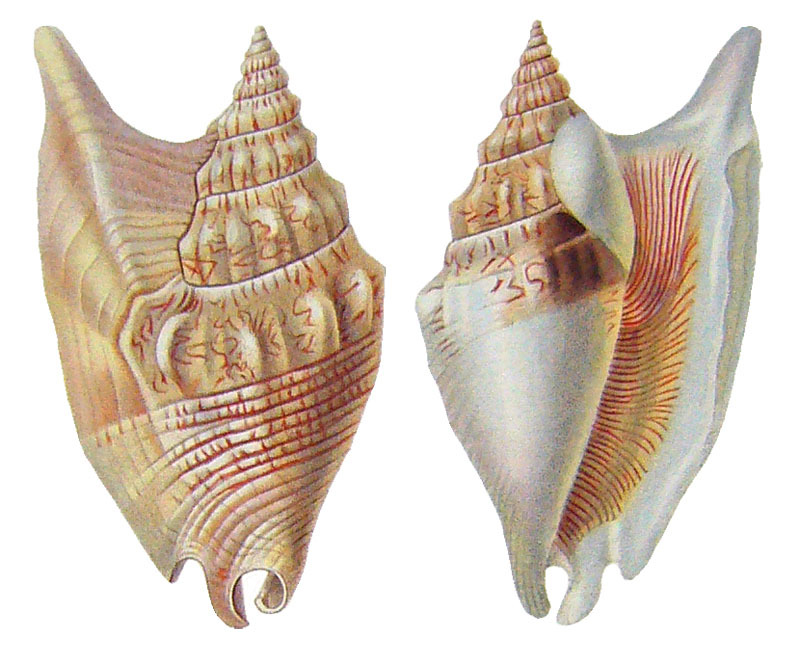 Inventory of marine Molluscs of French Polynesia. 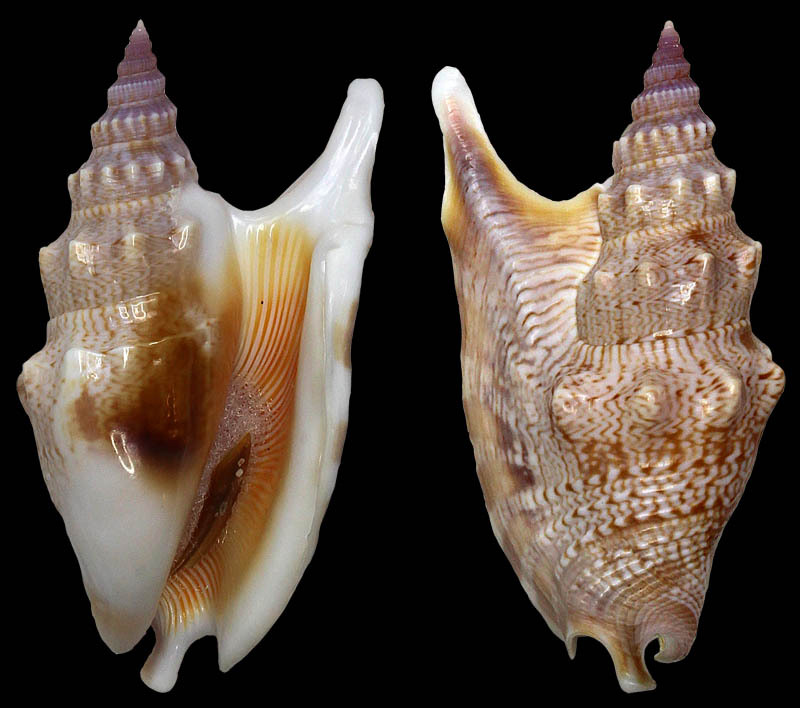 Atoll Research Bulletin, 570: 1-87.